« The cowboy rides away!! All our shots are winners!! 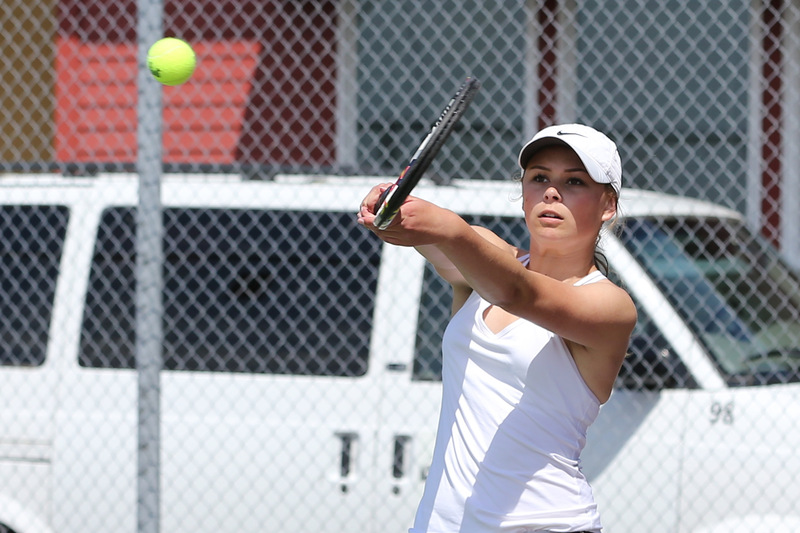 Trapped in a war of lobs, Avalon Renninger launches a moon-ball. 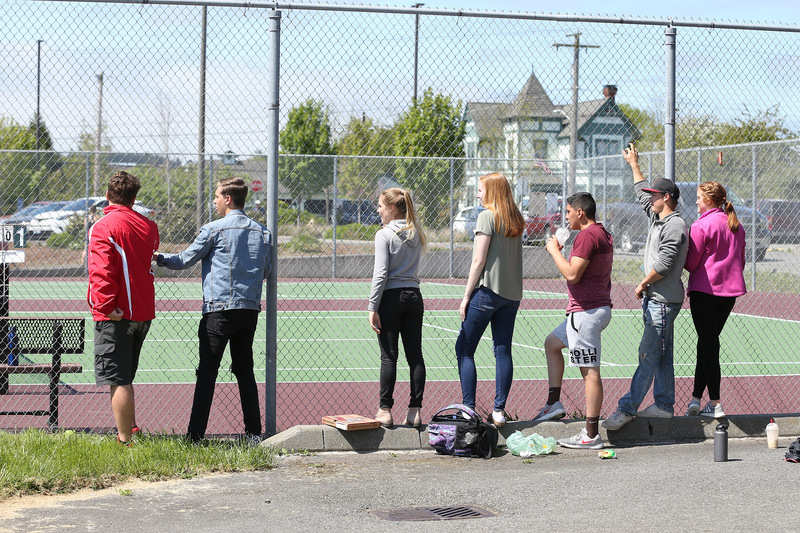 Klahowya players (on left) mingle with Coupeville students who swung by to cheer on their classmates. 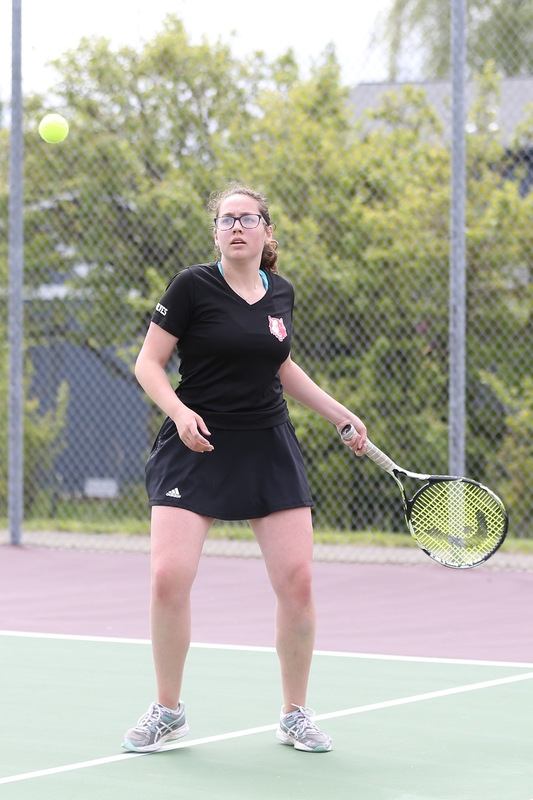 Kameryn St Onge peppers another winner. 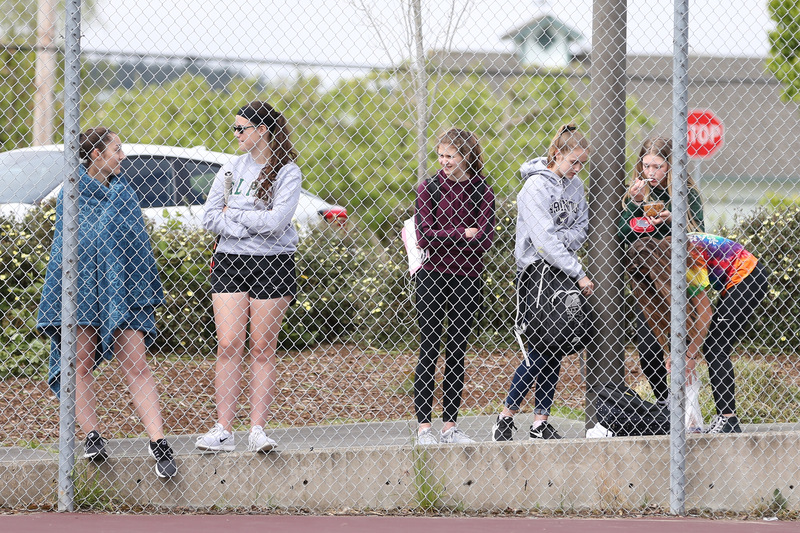 CHS athletes from other sports ring the fence, showing support for the netters, who got to skip school Monday for the Olympic League tourney. 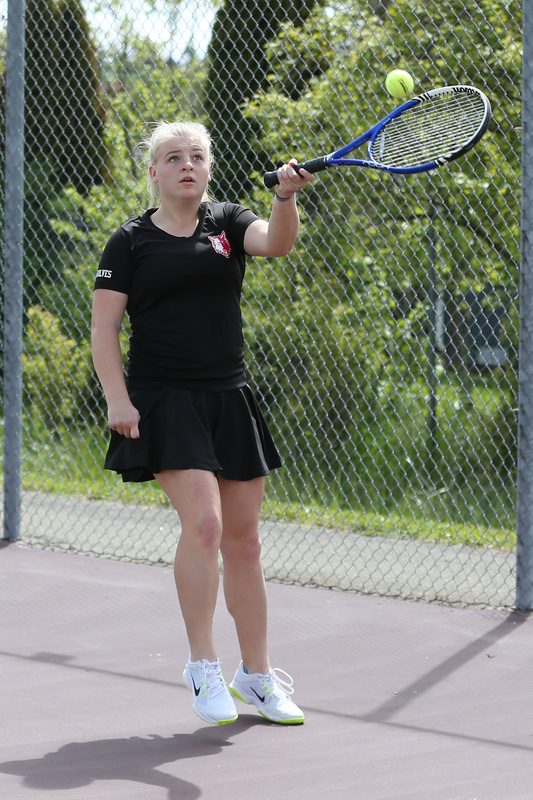 Heather Nastali’s radar tells her the ball is on the way to her waiting racket. 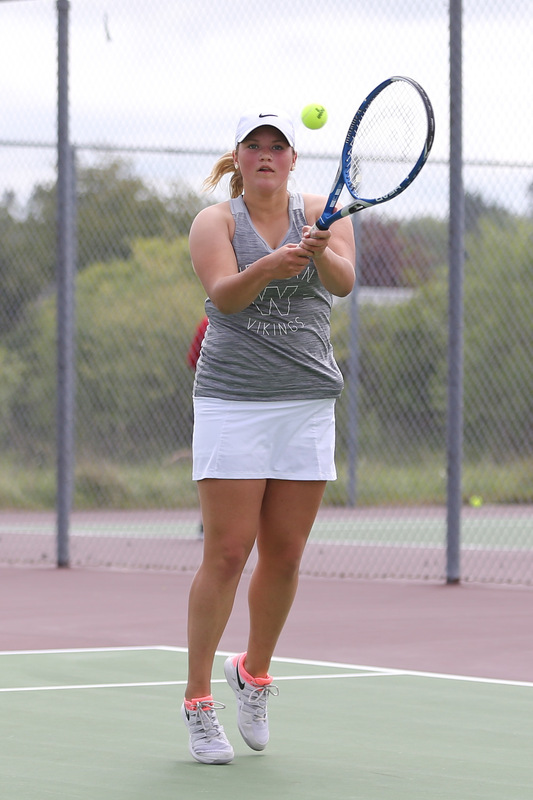 Freshman phenom Genna Wright slices ‘n dices. 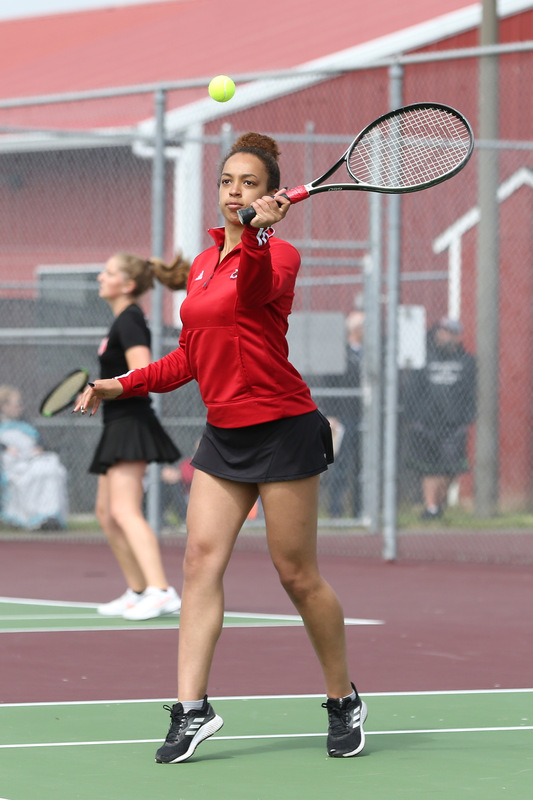 Payton Aparicio eyes a third-straight league doubles crown while playing with longtime partner Sage Renninger. From the players on the court, to the paparazzi moving from match to match, Monday offered a smorgasbord of action. 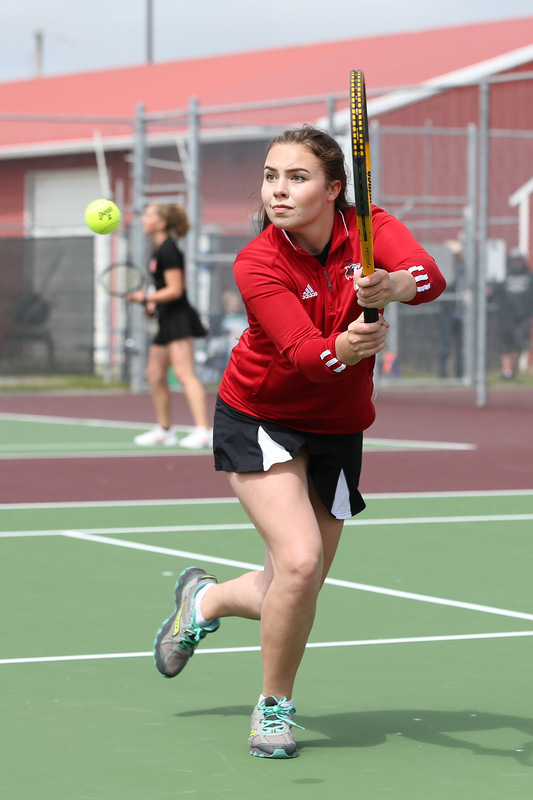 The Coupeville High School girls tennis team was hosting, and dominating, the 1A Olympic League tourney, while John Fisken (and his camera) was documenting the goings-on. The pics seen above come to us courtesy him. And, when you do, remember, purchases help fund scholarships for CHS student/athletes.